Max is a member of the Family and Civil practice groups in chambers and is predominantly instructed in matrimonial finance and chancery cases. He is ranked as a leading junior in the Legal 500 and is described as having “a wonderful manner with clients”. He is a qualified Collaborative Lawyer and a STEP affiliate. An understanding and compassionate barrister, Max is straight talking, clear in his advice and a committed and persuasive advocate. He enjoys working as part of the lay client’s legal team focused on achieving the desired outcome. Max is qualified to act directly for members of the public under the Bar Council Public Access scheme. An application for a financial order with an estate in the United Kingdom and a farm in upstate New York. Against Senior Junior Counsel instructed in London. An application for a financial remedy with an international element in the Family Division of the High Court. Representing the Wife of an international athlete and Olympic medallist in an application for a financial order. Representing a sole practitioner solicitor with three offices. Representing an encumbent polititian in a trusts claim in respect of commercial property. Max has undertaken work in Chancery since qualifying. This was exclusively in the field of trusts and estoppel in respect of property owned by a cohabitee until the last few years. More recently Max has also been instructed in contested probate, applications under the Inheritance Act, Insolvency and other property law matters becoming a STEP affiliate in 2016. Max has particular experience of cases involving businesses, farms, trusts, partnerships, disputes over property owned by 3rd parties and enforcement of orders. Max has lecture on the deferred sale of property, matrimonial contributions, nuptial agreements, 3rd party interests, insolvency in divorce, spousal maintenance and schedule 1 to the Children Act. Max is a trained Resolution Collaborative Lawyer and has been since 2011. He is the Treasurer of the Collaborative Law in Wales and a keen advocate for non-confrontational resolution of areas of disagreement wherever possible. 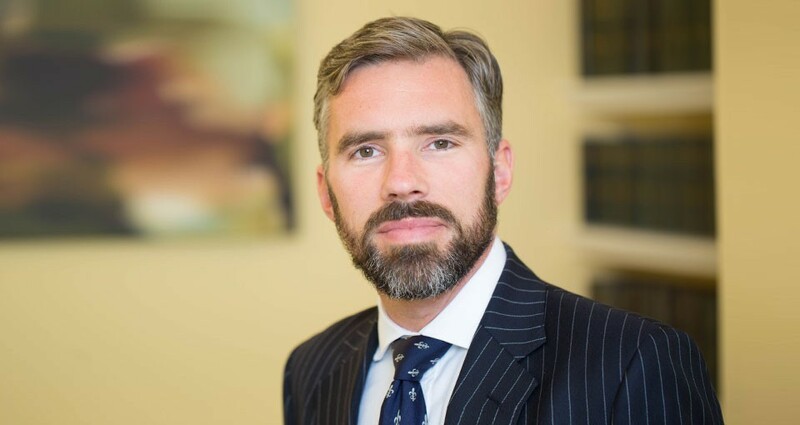 Max is probably the only barrister to have represented clients in the Collaborative Law process in South Wales and, similarly, was probably the first barrister to represent a client in Family Law Arbitration in respect of a financial remedy upon divorce. Max is regularly instructed in applications under section 8 of the Children Act 1989 for an order in respect of the upbringing of a child. This is usually an application for a Child Arrangements Order and regularly for a Specific Issue Order or Prohibited Steps Order to determine issues of disagreement between parents and sometimes others, about decisions to be taken in the lives of children. Max is available for instruction in Court of Protection applications. Max has been qualified to represent members of the public directly under the Bar Council Public Access scheme since 2010. Such instructions make up a very small but growing and important part of his practice. With the huge increase in litigants in person in recent years the ability to instruct a barrister directly has become a sometimes useful and appealing option for litigants. See Max’s website at www.maxdavies.net.